Beyonce. Kanye. Jamie Foxx and T-Pain. These are just a few of the artists who had hit records over the last year, and yet as their songs were honored, they were nowhere around. Instead, the songwriters and publishers behind these hits were brought into the spotlight at the 27th Annual ASCAP Pop Music Awards on April 21 at the Renaissance Hollywood hotel. ASCAP, the American Society of Composers, Authors and Publishers, kicked off its three-day “I Create Music” Expo by honoring and recognizing some of the biggest hits of the last year at the intimate awards show. Special awards were also given to The Killers, recipient of ASCAP’s Vanguard Award and rock icon Patti Smith. Many of the night’s honorees shared Smith’s sentiment, most acknowleding the fact that ASCAP award winners are chosen by people just like them. “It’s an honor to get recognized by all of our peers. Just to put the stamp of approval on what we do, to confirm what we do at the highest level,” said Thaddius “Kuk” Harrell who worked on Beyonce’s “Single Ladies (Put A Ring On It)” as a co-writer, vocal producer and arranger. The awards show was peppered with performances by The All-American Rejects, Jessi Alexander (writer of “The Climb” made popular by Miley Cyrus), rapper Flo Rida, Jason Mraz and Smith. The award show was attended by over 700 leading songwriters, music industry leaders and recording artists. Throughout the night it became more apparent that the people in attendance and accepting the awards were part of the true backbones of the hit songs that millions listen to daily. Unfortunately, many times these are the people who rarely get recognition by music fans and media. Still, those honored at the Pop Music Awards find the way to continue doing what they love most. 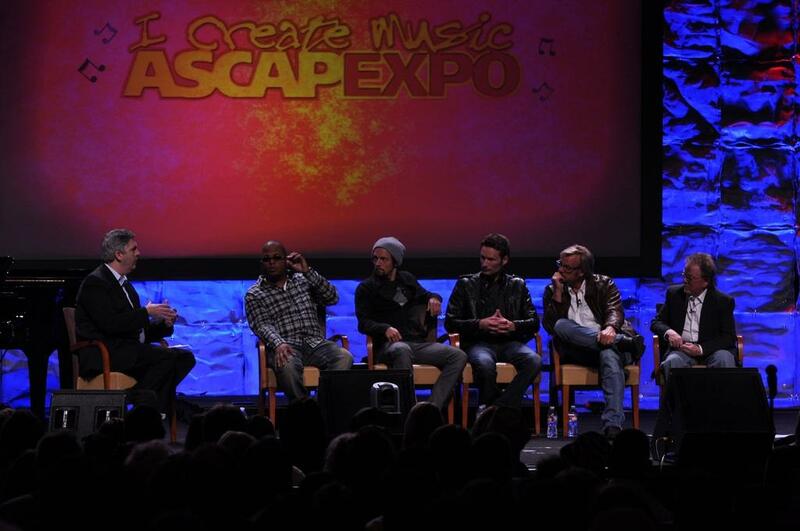 ASCAP continued its four-day music extravaganza through panel discussions with some of music’s biggest names. On April 22, ASCAP president and chairman of the board, Paul Williams, acted as moderator for the “We Create Music” panel. The panel included Mraz, C . Tricky Stewart (producer, songwriter), Brian Tyler (film composer) and Phil Vassar (songwriter, performer). While most other panel discussions revolved around industry concepts and inner-workings, the “We Create Music” panel offered a more relaxed and intimate chat amongst these music makers as well as their personal experiences in songwriting. Mraz, who won the award for Song of the Year for “I’m Yours” the night before, shared a similar idea that songwriting is more effective when the right words or melody are not sought after, but instead are welcomed. Conversation between the five men flowed seamlessly as if they were lifelong friends, which anyone could easily mistake them for. For the most part, they all shared the idea that they were each lucky to be doing what they loved, and though times have changed the goal to produce good music is constant.